New Hampshire Governor Chris Sununu visited Klein Marine Systems on Friday, November 2 in celebration of the sonar system manufacturer's 50th anniversary. The visit provided an opportunity for Governor Sununu to speak with company leadership while touring the facilities at Klein's Salem, N.H. headquarters. 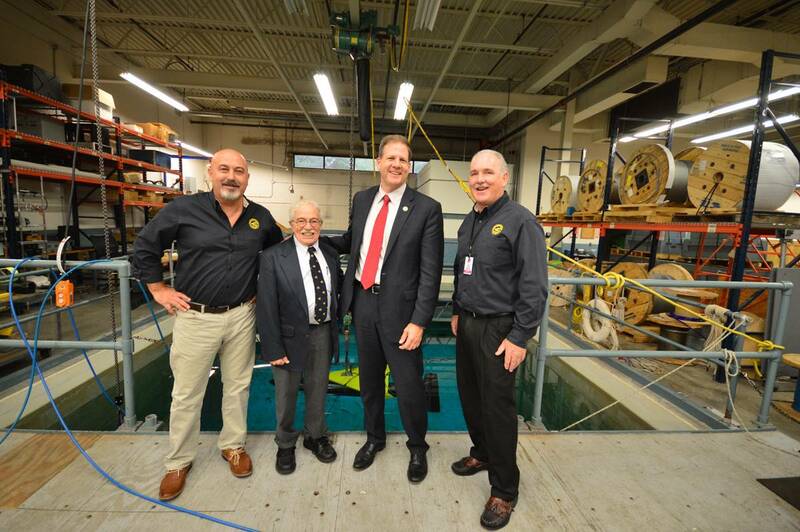 The company's origins stretch back to the 1960s when Marty Klein, who many consider to be the father of side scan sonar, began building his own devices from his home in Lexington, Mass. Today the firm is a wholly owned subsidiary of Mitcham Industries and is led by Frank Cobis, vice president and general manager.